Manchester United transfer target Hugo Lloris is set to make his Premier League comeback for Tottenham Hotspur against Southampton this weekend. Spurs coach Mauricio Pochettino faces a big day on Saturday when he takes his new club back to St. Mary’s Stadium, the ground where he earned his stripes in English football over 18 months with the Saints. 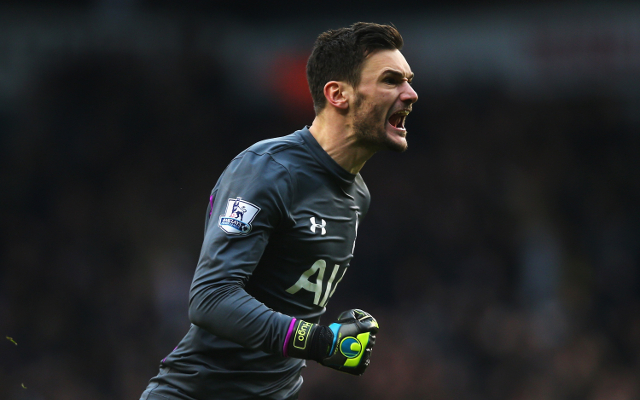 The Argentine boss will have been boosted by the news that Hugo Lloris is back in contention for the first team place. The France captain has been out of action since March 21 when he was involved in a collision with Kyle Walker only four minutes into Spurs’ 4-3 victory over Leicester City. Since then, Michel Vorm has replaced Lloris between the sticks, but Tottenham’s form has been patchy, and they remain in sixth in the Premier League. “We still have one training session to decide tomorrow [Friday] but he is completely ready [for a return]” said Pochettino on Thursday, as reported by L’Equipe. Lloris may not be at White Hart Lane beyond the summer, with Manchester United rumoured to be looking at the stopper, particularly should David de Gea move to Real Madrid.